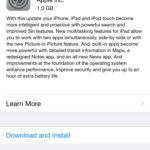 Several users have reported that they are unable to update/download apps after successfully updating to iOS 6 on the iPad, iPod or iPhone. 1-Delete the apps that are frozen, stuck, or not updating. 2-Go to the App Store, find the same app(s) and re-download and install. Please see this article for more info. I just went to the app that was stuck. Clicked it as if I’m opening it, and the download starts over. I also noticed this problem if I had a song that was downloading and it got stuck, then my updates would fail and appear frozen. Check both spots and you should be ok. 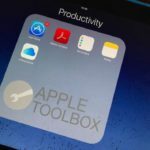 Solution is easy: you probably have a sync from your computer in process vs. an icloud one. Launch a back-up and that will resume the updates. Look for songs/movies that are stuck downloading. Pause them, and apps should start installing again. I also had this issue with my new iPhone 5. I followed the advice to look @ my music sync downloads and see if they were paused and therefore causing my apps to look frozen in the “waiting” stage. This indeed was the problem. I went to iTunes -> updates -> purchased -> and touched the paused songs to begin syncing them again. It took overnight, but once they were all downloaded, my apps installed correctly. Hope this helps someone else! Found out that my updates were waiting because last night I started downloading a large playlist from iTunes Match and for some reason it was stuck on a song. So before you delete your apps, check the Downloads tab in the iTunes app, it seems apps wait for your music/videos/podcasts to download. Sign in to iTunes and sync your device. After its finished syncing, the app that was stuck on updating is now finished. I am having the same issues after the upgrade but I can’t access anything apple including their web site on anybif my many apple devices. I am also unable to download books from Overdrive. Surprisingly when I took my devices to work they worked there but not at home on my wifi which is where I had upgraded from. I have an an apple user from the onset but never ever have seen this before! Please help. I tried resetting my network and logging out of my iTunes account. I can only type this because I am using my 3G network rather than my wifi. By the way I can use my wifi for non-apple related sites. Weird! Problem is, the apps weren’t even showing up, just number balloon on icon telling me how many needed updating. In case anyone else ever has the problem (and lots and lots on the interwebs *are*), in App Store i selected a category, hit “see all” and went all the way to bottom, clicked on my appleID (directly beneath “redeem”; on next page, I clicked on my ID and typed the password in (twice). The only solution worked for me is deleting the app and install it again. Hi. After updating to ios6 on my iPad, am not able to download any free apps. The message comes as cannot connect to iTunes Store. Please help. Am using a 2g sim. Hi all, I seem to have solved this simply by signing out of my Apple id account and signing back in again. Hi, I have a different problem since I installed IOS 6 on my 3GS. When I try and install an app, I’m asked for my apple id, and after I enter that it looks like it’s installing but nothing happens. In order to get new apps now I have to download them onto my PC and then sync with the phone. Anyone else experienced this, or any ideas how to fix it? Recently I’ve update my mob with your new iOS 6.after updating the software I’m unable to purchase any apple applications.when I click the application it show blank screen.previous way of browsing the application was much more better.furthermore when I need to check an application (reviews and brief of the application)it doesn’t show any thing at all.kindly help me. I found a solution for this..
U need not want to delete and re-install those apps. Goto AppStore -> Then Update Tab -> Tap the icon of the app to get into the Details page of the app -> Tap the icon there again -> U ll b directed to that app in your device -> Tap the icon again -> U can see the network activity indicator animating at the StatusBar and the App Name ll b changed to “Waiting” and then “Downloading”. Ur App will start downloading. Do this for all apps one by one. Bless your heart!!! That worked!!! You are a genius. This has been driving me nuts for weeks!!!! I can’t thank you enough!!! Hi. I have just downloaded the new ios6 to my iPhone 4, but pretty much all of my icons are now missing. I can see them in the apps store with my data on there, but how do I restore them? 3. After reboot iOS said “was unable to purchase “NAME OF THE APP” and X other items, try again later”. This is how i found which app was the first one to freeze. 4. Deleted this exact app and everyting else updated just fine. I could download the apps and update the apps. I have the problem that when i open ANY app on my phone including email and safari that it closes down after 10-30 seconds while i am working in the app. 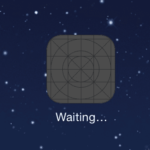 Every app is doing this since i installed iOS 6.
ios6 download has frozen my iPad with black screen and apple logo. Is there a cure? I have the New IPad and had exactly the same problem after updating to IOS 6 . Under whelmed… I double clicked home button, held the first app button and got the Minus sign. I closed all of the Apps in the bottom toolbar and updated them through ITunes .. not an auspicious start to IOS 6. I have in my house 5 Ipods of various ages, 4 IPhones , 3 ipads and a mackbook pro so I guess you could say I am an apple fan but seriously considering replacing the IPhone 3GS for non apple as the Iphone 5 is nothing more than a taller 4S – not worth the wait and getting disenchanted with Apple . cant say i am impressed with the reviews of Mountain lion either … whats going on at Apple ? My problem is the same on iOS 6 updating apps, the message “waiting” as it freezes for several days and cannot be delete, Apple people do something about it………..
Was having the same issue as most here are. I had to close any apps running in the background (except the stuck apps, as mentioned, you cannot close them), and then attempt to launch each app that was stuck individually, which got them to download and install properly. Seems this method manually triggers the app to download the update it was waiting on. Having downloaded 06 to my new iPad, I can no longer access You Tube and many video clips that I downloaded, plays for a short time and the sound is lost. The videos also freezes! I could not access iTunes with my iPad until I upgraded iTunes but was unable to recover 05!! Any advice given that will enable me to revert to 05, I presume that I would need to remove the latest up date to iTunes as well,will be truly appreciated. Can anyone tell me how to remove IOS 06. And revert back to IOS 05? IOS6 for the IPAD is too buggy to download. I have all the same problems installing apps and the suggested solutions don’t work. Also some apps now have no sound at all. I should not update to iOS 6…. Now i dont know what to do! Hope this works for you people too! I have the same problem .. I update the IOS 06 for the IPad .. Then when I’m trying to update app’s it says your account is not valid for use in Saudi Arabia store, you must switch to U.S, store before purchasing !! I am having the same problem as you except mine says..Your account is not valid for use in the U.S store. You must switch to the Australian store before purchasing. Go to the itunes store app on your ipad/iphone/ipod and scroll to the bottom until you see your email and click on it. 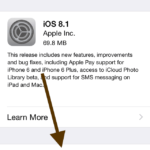 Then click on the option view your apple id and it should switch to your apple store automatically. BIG THANK YOU! This worked for me as well. I was able to fix this problem for myself. If you going to the iTunes app on your phone, and hit the “more” tab, You’ll see a list of your downloads. What I noticed, was that I was downloading several hundred songs to my new device via iTunes match – which I use on my phone for my music. One of the songs was hanging, and wasn’t letting anything else on the phone download from iTunes including the other 700+ songs and the apps that I had recently selected to update. Once I deleted the one song that was causing everything to hang, everything else downloaded perfectly As it should, including the apps. So, the key elements for me were: I have a new device. I use iTunes match. I was updating the thousands of songs onto my phone via iTunes match. Some of the songs, while downloading from iTunes match, seem to hang. Clearing the hanging songs freed up the rest of the downloads. Excellent. The stuck song donload was my issue. I’m glad I didn’t try the reset all option that others were suggesting. I worked on this for five hours and your simple fix was the issue!! THANK YOU THANK YOU !!! Many thanks for the answer to the problem I spent two days trying to fix. Hard to say what all I did, but tinkering around in the area CongressDJ mentioned did the trick. 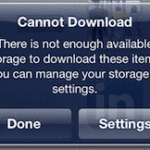 Remember wait till all your music is downloaded before looking for updates to your apps. Thank you so much!!!! itunes was the problem, It works!!!! Thank you CongressDJ! That was the issue and you saved me alot of frustration. Perfect. Fixed my problem Thnx. This is a stupid question, I apologize in advance, but: how do you clear the hanging songs? I have three showing as “waiting”. Do I delete them from the Library on my main computer so that they are not processed any longer by iTunes Match? Thank you so much! That was the issue – Apple support couldn’t even figure that out. So frustrating. I think iTunes Match needs some help! Thanks, this is exactly the solution that worked for me! THANK YOU CongressDJ – this works just fine, it is just as you said, a hung song and now everything has installed including all my apps! I note your post is dated September 22nd 2012 and it’s now January 03,2013, what the hell is Apple doing about this, NOTHING to date! Thank you this was very useful – fixed my app problem – very much appreciated! I’m having this exact problem on my iPhone 5. Apps were installing fine. Now they just say “waiting”. I delete, reboot, reinstall, and they continue to wait. Also of note, these very same apps that will not reinstall, once I’ve deleted them… They don’t show up in the app store with the button that says “free”. The button says “install”. That’s different from any other App in the App Store regardless of whether or not the app is still on my phone or not. Like the others this was my problem as well. Seems a “free” Christmas album I received had hung on the first song but as soon as I tapped it in iTunes to get it downloading again, that started clearing my app updates backlog. Thx heaps! is it worth updating to at all? i got the update message in my settings. and can u still delete apps? No. Don’t do it. Not now. Let Apple get their heads out of their asses first. I’m pretty much thinking they don’t deserve any more patronage from me. Deleted apps and tried to reload apps and still not loading! Another major flaw of iOS 6! I’ve also tried to delete the apps that are stuck waiting and redownload them. It hasn’t worked, and I’ve tried it with several apps several different times. Since I’ve ‘upgraded’ to IOS6 I’m unable to update my apps. When I click on update nothing happens. I’ve tried to remove an app and then re-install – this also does not work. I wonder about the standards of Apple now … why don’t they offer a solution to problems like this rather than all their users having to search the internet for solutions. Not the Apple I used to know! I have the same problem… the only way is to dowgrade back to 5.1.1 and wait till apple fix the bugs….. I spent 4 hours today trying all of the suggestions online for my similar problem—no way to delete or reinstall 19 apps on my IPAD2 since IOS6 update. 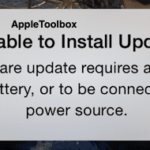 Apple’s response: “You would have to pay $300.00 over the next 3months for Apple to spend 20 minutes installing software to fix the problem!!!! !” What do you all think about that???? So… How did u get out of this… I’m having similar prob. I just clicked on an app that was frozen and had given me a notification to say it couldnt download at this time. clicking individually to restart and they continued to download. There was no need to delete and reinstall mine. what i did was to reset my ipad, deleting all contents and settings. but before that i had sync with my computer or icloud. after resetting, i simply sync with my ipad and everything is ok. from now on, do not update your apps via ipad nor download any apps via ipad. however, if you do so via itunes in your computer, it can be synced with your ipad without any prob. we are all still waiting for apple to quick come out with a patch for ios6. This is the same with my ipad2, i can’t delete them, orrestart them. Please make a patch to repair this. Also, why is the youtube ap gone, come on! Because that YouTube app STINKS! No features. Now the official YouTube app can be downloaded for free. Much better. Same thing for me. I can’t do anything with the app that started downloading and then stopped. Any ideas??? I had the same problem. The solution for me was to power off and power on again, the game did delete itself but was dowloadable again! I just went to the app that was stuck. Clicked it as if I’m opening it, and the download starts over. Thank you that worked for me! Just activated my iphone 5 last night and having a great time with it so far. After all my apps installed and my phone was ready to party, I noticed something wrong with the app store. My apps will not download if I have wifi turned on. I can purchase and install something over 4G, but if wifi is turned on the app sits there at waiting. This means I can’t download the bigger games to my device because they require wifi to download. Any body know a fix for this? I already tried restarting my phone and stuff, btw. Hi prasanna, I have the exact problem you’ve listed here. Did you figure out a fix for this problem? (I’ve read things like updating the DNS to 8.8.8.8, and other things). Did you find something that worked for you? I had a movie downloading from iTunes Store once I paused it my waiting stopped and downloads resumed ! I would appreciate some help on this very topic, it is the exact thing happening to me. Have you tried restoring your backup? I am doing that right now, wish me luck.